Research suggests that cognitive complaints are associated with greater self-reported negative psychological feelings. This relationship could have implications on Alzheimer’s prevention trials and management of clinical populations in research. PMC Co-director Jason Karlawish, MD; PMC Scholar Shana Stites, PsyD, MS, MA; PMC Senior Research Coordinator Kristin Harkins, MPH; and Manager of Psychometrics for the National Board of Medical Examiners Jonathan Rubright examined the relationship between self-reports of cognitive complaints and quality of life in people with varying degrees of cognitive impairment. Their findings were published in the Alzheimer’s Disease & Associated Disorders International Journal. 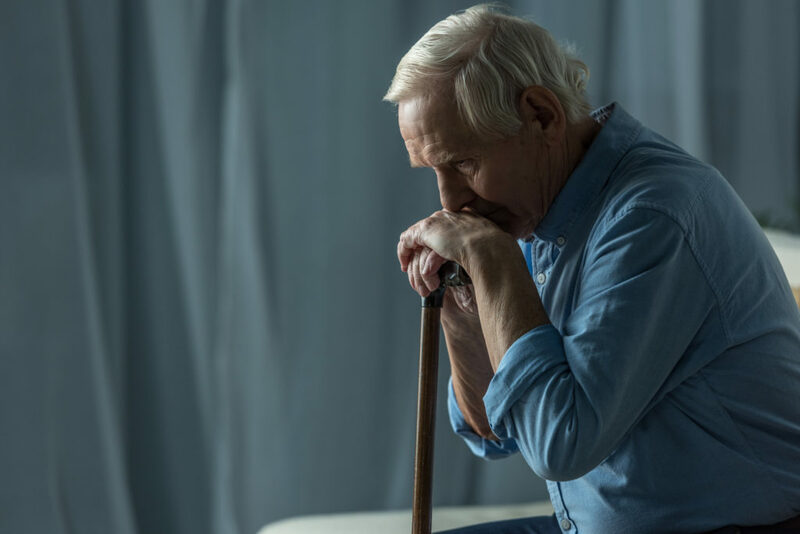 Previously, self-report data from Alzheimer’s patients has rarely been used in research due to the disease’s ability to inhibit insight on the effects of the disability. With technological advances making it possible to detect biomarkers associated with Alzheimer’s before symptoms are present, self-report data is arguably more reliable and significant. While controlling for severity of cognitive and functional impairment, researchers found that cognitive complaints were related to relatively lower quality of daily life, greater depression, more anxiety, higher perceived stress, and lower general mental well-being. Cognitive complaints were measured using three factors: cognitive difficulties, distress from cognitive difficulties, and believing you had more memory problems than most people. Quality of life (QOL) was measured by physical functioning, social interactions, mood, mental well-being, and functioning in activities of daily life. The researchers analyzed relationships between domains of QOL and each cognitive complaint in order to come to the above conclusion. Understanding these associations may help inform the choice and use of patient reported outcomes in Alzheimer’s disease prevention trials and help guide management and intervention in clinical populations. A sample of 259 adults age 65 and older with normal cognition, mild cognitive impairment (MCI), and mild stage Alzheimer disease (AD) dementia completed tests of cognition and self-report questionnaires about QOL and cognitive complaints for this study. For the full study, please visit the Alzheimer’s Disease & Related Disorders International Journal.